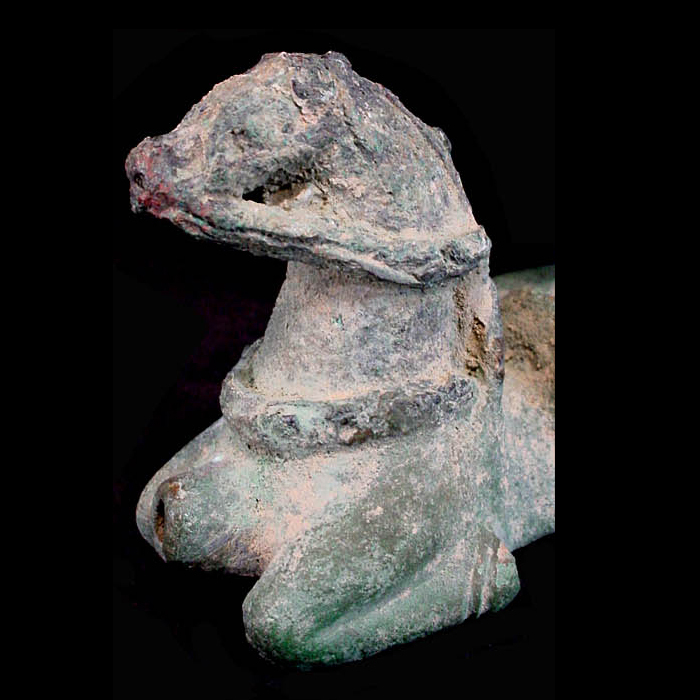 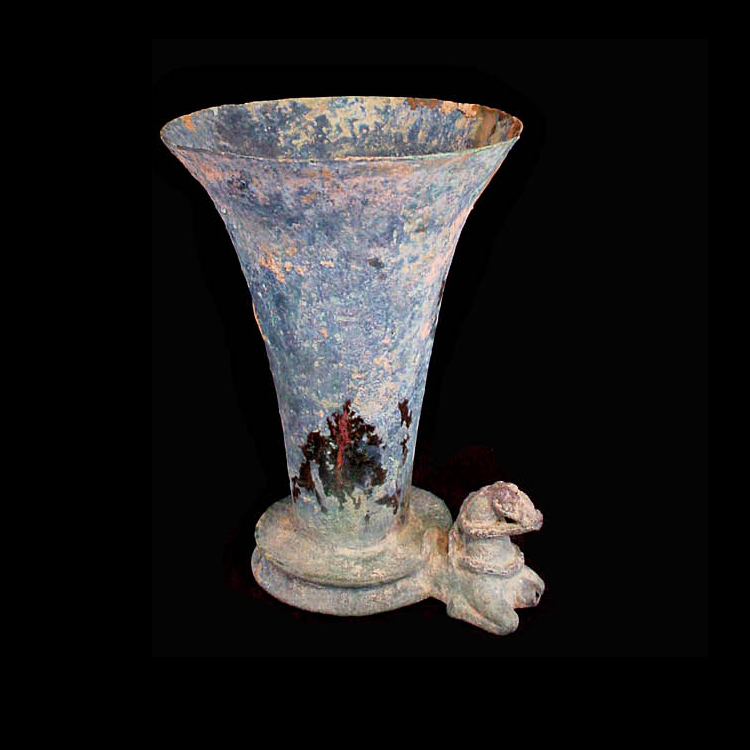 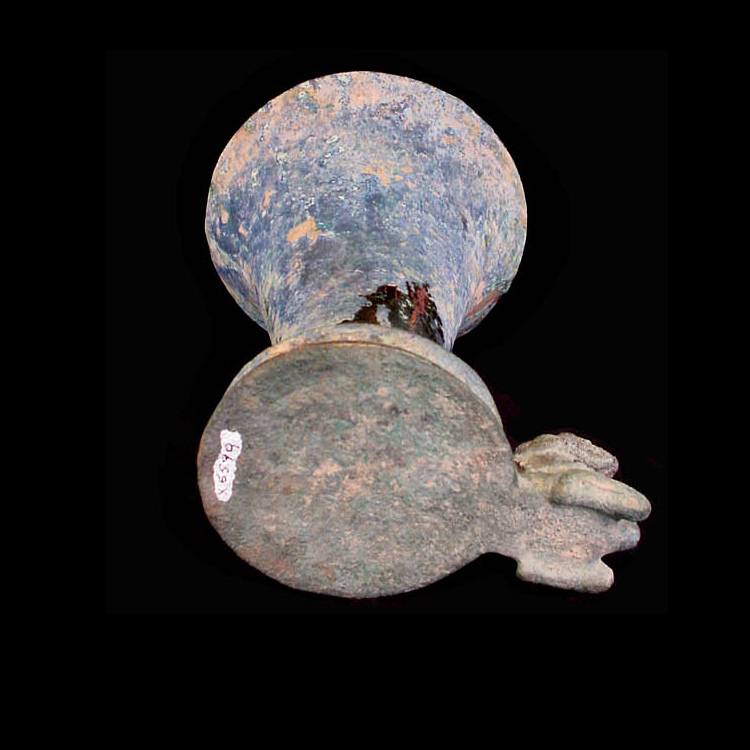 ﻿ Exclusive Items : Bactrian bronze libation vessel with a horse protome. 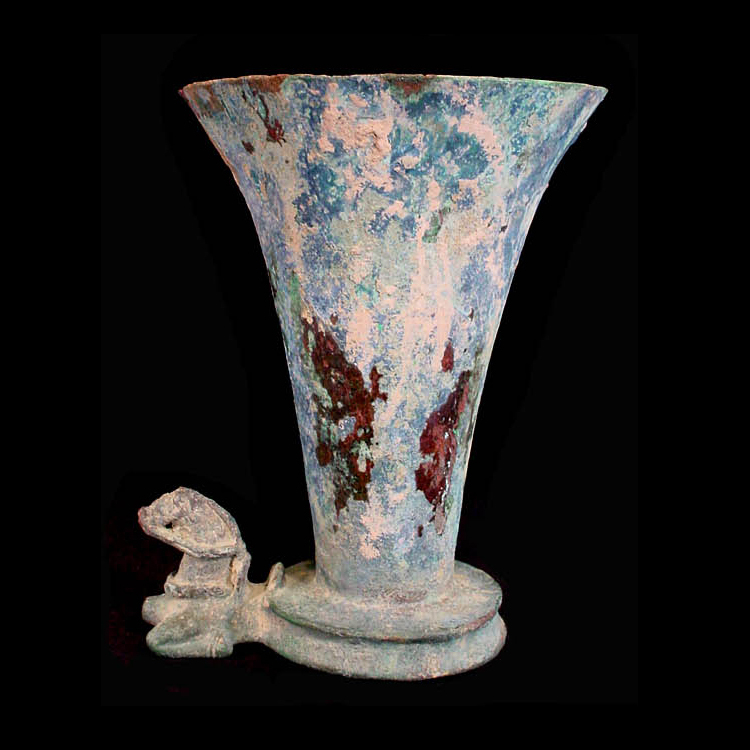 A very fine Bactrian bronze or copper vessel. 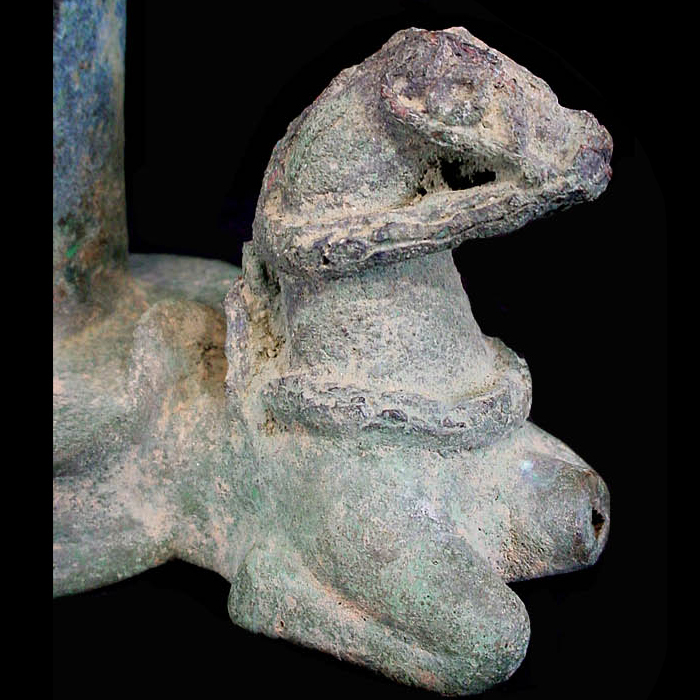 The base bears a finial of the forequarters of a horse, with a perforation suggesting use as a libation vessel. 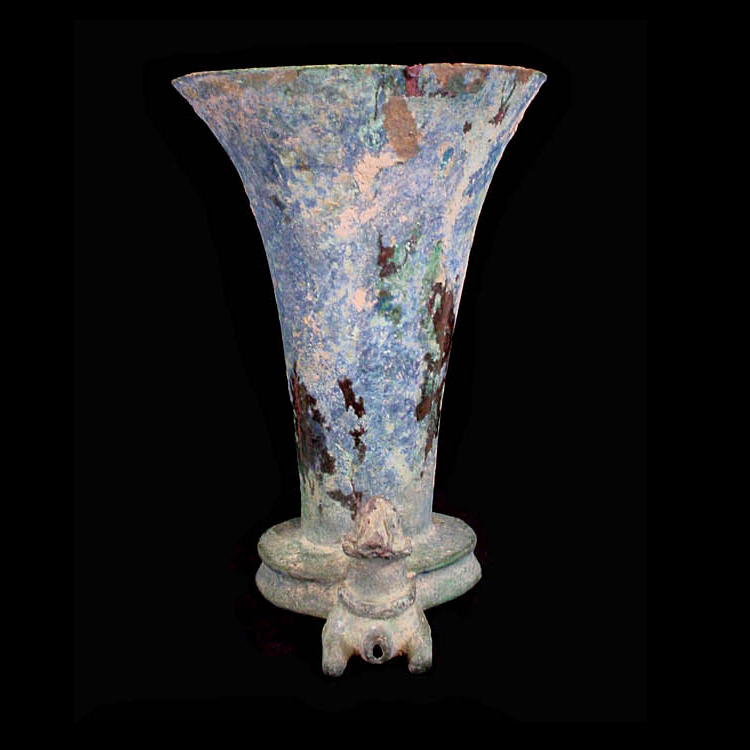 Fantastic built up verdigris patina, with large areas of blue on the upper body indicating copper carbonate content in the bronze. 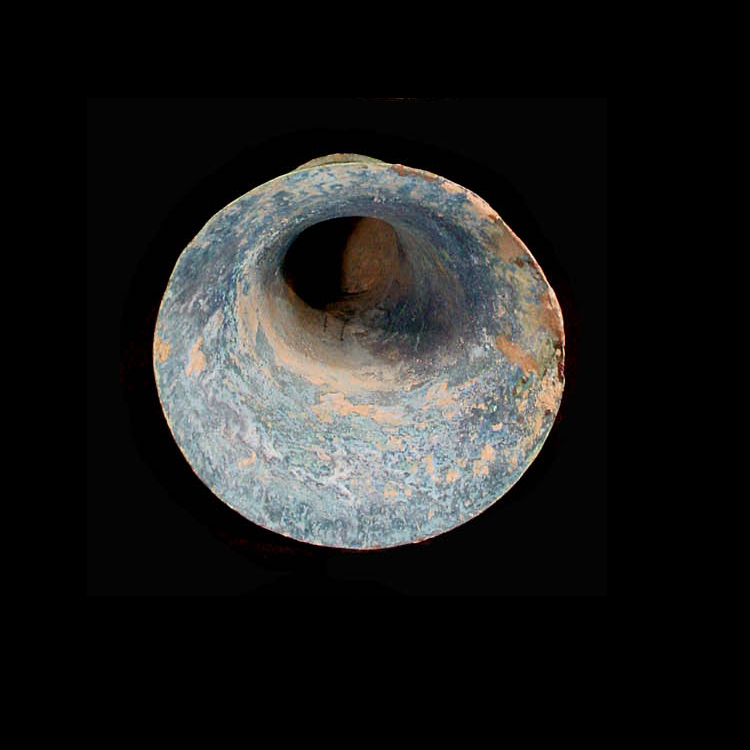 In overall good condition.